“2018, for us, was really an amazing year because it marked a year where we continued to expand our product lineup, and we did it the way we have always have. 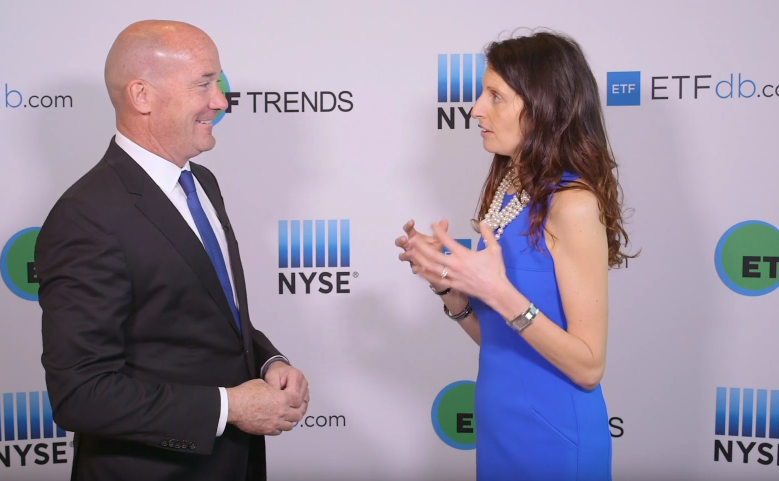 We’ve talked about how we’ve built it across equities, fixed-income, alternatives – the way you build a portfolio, but this year, what we also did was expand across disciplines, so not only factor based, which we’ve talked about, but also purely market-cap weighted beta and more purely active,” Jillian DelSignore, Executive Director, Head of ETF Distribution, J.P. Morgan Asset Management, said at Inside ETFs. Specifically, the actively managed JPMorgan Ultra-Short Income ETF (JPST) has quickly garnered assets, with $6.2 billion in assets under management, and became a popular way to access the short-end of the yield curve. The ultra-short duration bond strategy leverages the expertise of J.P. Morgan’s Global Liquidity business. In a rising interest rate environment, investors are looking for a safe way to park their cash and reduce risk exposures, and with something like JPST, investors can utilize an innovative solution to build stronger portfolios. JPST tries to provide current income while seeking to maintain a low volatility of principal by investing in investment-grade, U.S.-dollar-denominated short-term fixed, variable and floating rate debt. The fund can include corporate securities, asset-backed securities, mortgage-backed and mortgage-related securities, and high quality money market instruments such as commercial paper and certificates of deposit. Additionally, among JPMorgan’s most popular new ETF launches last year, the JPMorgan BetaBuilders Japan ETF (BATS: BBJP) attracted $3.6 billion in net inflows, JPMorgan BetaBuilders Europe ETF (BBEU) brought in $2.6 billion in inflows, JPMorgan BetaBuilders Developed Asia-ex Japan ETF (BATS: BBAX) added $2.9 billion and JPMorgan BetaBuilders Canada ETF (BATS: BBCA) experienced $1.1 billion in inflows. JPMorgan was late into the ETF game as the money manager historically dabbled in active management and its alternatives business, which puzzled many industry observers as the company’s $2 trillion in assets and wealth management business covers services for a range of U.S. financial advisors and retail investors whom have exhibited increased demand for ETFs since the financial crisis. In a saturated market, JPMorgan is forgoing the broad beta-index approach and may be focusing more on targeted investment opportunities.